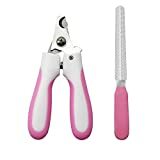 Package Include 1 x Pet Nail Clipper 1 x Nail File Size:Small Color: Pink Get premium pet nail trimmers from chong le er, make trimming your dog's or cat's nails easier and safer Helps Pets Avoid The Pain,Protect Your Floors When pet's nails begin to grow too long, they cause pain in their paw pads, keep them from being active, or even scratch up furniture or floors. Our nail trimmer lets you cut back to just the right length so you can maintain your pet's nail health. 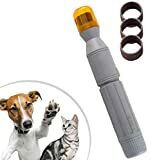 Choose Our Pet Paws Nail Trimmer - Made with high grade stainless steel, these durable clippers won't bend, scratch or rust, and the blades will stay sharp through many sessions on tough dog nails. - Ergonomically designed with comfortable non-slip handles, which allow you to keep the clipper safely within your grasp and apply the perfect amount of force. - Adjustable safety guard, proven to prevent accidental cuts. 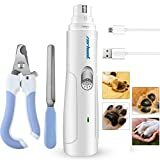 You'll be less hesitant about trimming your pet's nails - As an extra precaution we have added a safety lock, which is located on the handle. Just slide up the lock button and the clippers will be locked in place. No More Ragged Edges Pet nail trimmers come with a nail file for smoothing over any rough edges after cutting. You'll be more likely to keep its nails trimmed, allowing him to walk comfortably and helping prevent damage to your floor and furniture. Professional to use for small dogs and cats. 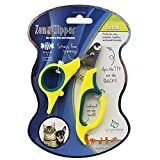 If you have anxiety about clipping your pet’s nails at home or are tired of expensive visits to the groomer, then you need the Zen Clipper: the worry-tree nail trimmer. Designed with you and your pet in mind, The uniquely designed conical blade only allows a predetermined amount of your pet’s nail to be clipped, reducing the risk of you cutting the sensitive quick. The funnel-style design removes anxiety from the nail-cutting process, while providing effortless precision. 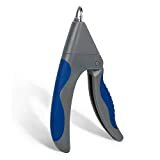 Our Professional Stainless Steel Dog Nail Trimmers are made from the finest quality stainless steel to give a long-lasting, sharp cutting edge. Nail trimming should be a regular part of your dog's grooming. It is important to your pet's well-being to keep the nails properly trimmed. 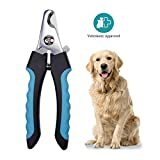 Be sure to accustom your dog to having its nails trimmed at an early age to make the experience an enjoyable one and increase the bond between you and your dog.Designs and Features- Sharp blades are made of high quality stainless.- Unlock protection prevent children from using it.- Free Hidden Nail File conveniently stored in handle will allow you to polish sharp nails to perfection.- Safety stop blade greatly reduces the risk of cutting nails too short.- Ergonomically designed non-slip handles are strong,lightweight,and comfortable.OUR SERVICE - 100 % Satisfaction Guaranteed. - If you have any questions, please feel free to contact us at any time. The ConairPRO Cat Nail Clippers allow you to trim you pet's nails with comfort and confidence. Our ergonomic handle fits comfortably in your hand and offers a non-slip grip that makes cutting nails simple and accurate. 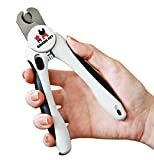 Features heavy-duty spring action, stainless steel cutting blades and a safety guard that prevents you from cutting nails too close. 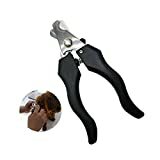 Use to clip most small to medium size pet nails.